And just like that, it’s time to catch up on another dose of digital news to get you in the mood for the weekend. 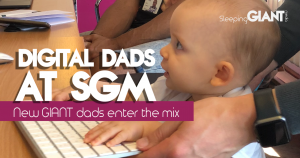 This week we’re talking about the rising distrust in social media, the launch of IGTV, new legislation affecting the internet, and how the way we watch the World Cup is changing. Plus, check out our local news section for the lowdown on our busy awards week! This week saw Instagram celebrate hitting one billion global users with the release of a new feature, in the form of IGTV. The new long-form video feature, which will be both a standalone app and exist on users’ homepages, will mean creators can now post content that exceeds the current 60-second clip limit for the first time in the platform’s history. IGTV will allow users to share hour-long clips in portrait mode, which Instagram says is “the natural way people use their phones”. At the launch, the company was unclear on whether the longer videos would feature ads, or if there would be a system for paying users for their content – similar to platforms like YouTube. Instagram founder Kevin Systrom told Newsbeat that the launch comes as the platform moves to change how people make and watch video – shifting away from computers and TVs. “All the data we have shows that people are spending less and less time in front of TVs, but spending more and more time on their phones,” he said. Check out this video to find out more about the release, or read the full story on BBC Newsbeat. This year has seen a lot of controversy surrounding social media companies, and a new survey has found that it’s having a big impact on the way we interact with platforms. The study, by global public relations firm Edelman, found that four in 10 people deleted a social media account in the last year. Trust is a big factor, with trust in social media dropping to just 24% in the UK – lower than the global score of 41%. Of the 9,000 people questioned, 60% said they don’t trust social media platforms to behave responsibly with their data, while 62% said it’s time for governments to step in and police social brands. Although it would be easy to pin all of this on recent issues like the Cambridge Analytica scandal, the study found that people were getting tired of the way that social media companies have been operating before situations like that had even happened. The concerns now come from advertisers, with personalised shopping or ad experiences suffering due to people being unwilling to share their personal data. 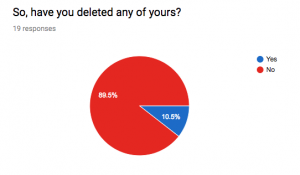 We did a quick poll of 19 GIANTs and found that only 2 had deleted a social account in the last year. One GIANT said that the only reason they hadn’t, however, is because we work with the platforms, and feel the need to stay up to date. Another indicated that although they haven’t deleted any, they’ve significantly reduced their usage. The two offending platforms? Snapchat and Facebook, due to changes in how information is shared and digested. So, have you made any cuts? 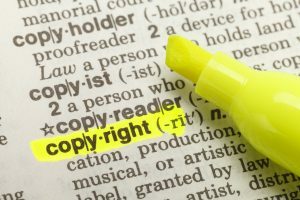 On Wednesday, the EU’s Legal Affairs Committee (JURI) voted in favour of legislation called the Copyright Directive – which some are saying “will tear the internet apart”. The legislation includes two highly controversial provisions – Article 11 and Article 13. 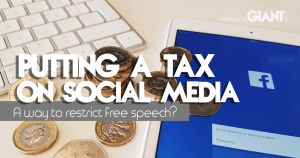 Article 11, dubbed a “link tax”, would mean platforms like Facebook and Google had to buy licenses from media companies before linking to their stories, while Article 13 would mean that everything uploaded online in the EU is required to be checked for copyright infringement. Both elements of the legislation were approved by the committee this week, but they have to pass a plenary vote by the European Parliament before becoming official legislation. This vote would likely happen sometime between late 2018 and early 2019 – meaning there’s still time for people to take a stand and get their voices heard. Check out the full story over on The Verge. With World Cup fever in full swing, the impacts are being felt in many industries – including the digital world. Experts are now saying that the use of virtual private networks (VPNs) is expected to double during the 2018 tournament, as fans look for free ways to watch matches all over the world. VPNs work by letting people connect their computers or smartphones to a server in a different country, allowing them to pretend they’re from there. For example, you could pretend to be in a country where the matches are played for free, instead of having to pay in your own country. “With each large sporting event, more and more people try the VPN technology they might have never used before,” said Ruby Gonzalez, who heads communications at NordVPN, a VPN provider who saw a 104% increase in sales during the 2016 Olympics in Brazil. As we become more and more reliant on smartphones and the internet, the way we engage with these global events is set to keep evolving. In our latest blog we talk about the different ways people are watching this year’s World Cup, and how the rise of digital is affecting the way we engage with events. The past week or so has been a busy one for the GIANTs when it comes to awards. We kicked it off with the IoD London & South Director of the Year Awards on 14th June in London, where SGM CEO Luke Quilter was nominated for Director of the Year – SME, and we were super excited to hear he won! Rising a high from that win, next up came the RAR Digital Awards in Grosvenor Square on 19th June. We were nominated in the Strategic Thinking, Creativity/Innovation, Client Service, Search, and Effectiveness categories – which we’re super proud of. Although we didn’t come away with an award, Shaun and Jack had a great time at the event meeting all the other nominees. To conclude our busy awards week, last night saw a group of GIANTs get all glammed up to head off to the KEIBAs at the Kent Event Centre in Detling. The event, celebrating its 10th anniversary, was filled with delicious food, great local drinks and tons of amazing businesses. Giant Campus were shortlisted for Start-up of the Year, and although we, unfortunately, didn’t come away with the award, we had an awesome night celebrating a year of hard work. Big congrats to the team at Space Between for winning the award, too! It was great to see all of the amazing local businesses receive recognition for the work they’ve been doing.